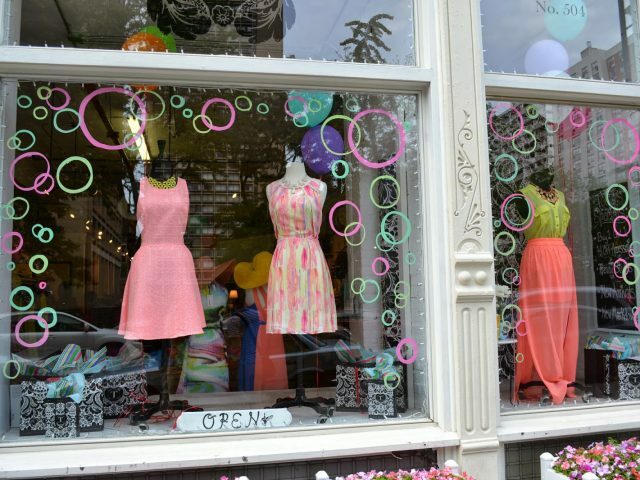 For the most part, glass showcases are used for more delicate places. Although they are also used in any kind of business. In addition to all this, glass showcases are also often in museums for exhibition of various materials. This type of showcases tend to be very delicate and mostly badly cared for. Your designs can include from the size to the thickness of the glass and if you want wheels underneath. If you have any question or do you want one, just contact us! Some tips that we have for you and your first jewelry showcase! Let the showcases show the prices and the product. Allows customers to interact with products: place mirrors where they can see what they look like. Don’t just wait for them to sell, it gives data and intrigue to your buyers on the products. It offers payment facilities in each type of jewel. Place hand mannequins to offer a view and attractiveness. Promotions are not a bad idea but discounts are ideal for this type of business. Large jewelry showcases. Sometimes we need a large place to organize all our products. Other times we look for a place to exhibit larger pieces. No matter your situation, our large jewelry showcases are the answer. Within this line of showcases we can highlight the wall upright showcases that can have large dimensions while maintaining stability on their own. This type of showcase has several levels of tempered glass shelves to place many small products. Another of our large showcases is the tower showcase. This showcase has greater height and can be manufactured in different designs at its base: square, triangular, hexagonal or octagonal. One of the most sold is the wall mounted showcase that is fixed to the wall. Whatever showcase you need, we can make it for you. Contact our assistants and they will help you with pleasure. Most of our custom jewelry display cases are made in Laredo Texas and Toronto Ontario. From both of these factory locations the jewelry display case lines are the most popular and profitable for our company. These categories of glass display cases include suspended showcases, counter display cases, pedestal display cabinets, wall uprights, counters, towers, wall mounted and wall upright display cases. 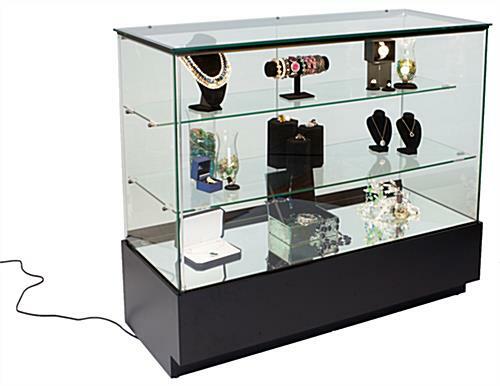 Request our custom jewelry display cases catalog directly from our website directly.